Resolution: As of August 26, 2013, the ND75/95 in 626 finish comes standard (no additional charge) with indicator rose with black lettering and indicator arrow. For locks that shipped prior to August 26, 2013, you can order according the indicator rose as depicted in the chart below. 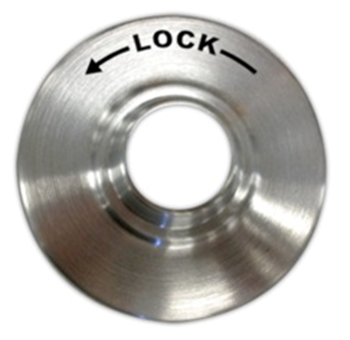 The option can be ordered as a retrofit for existing ND-Series locks. Resolution: If a blank rose is preferred over an indicator rose, the customer will need to order the lock less inside rose and order the inside rose (03-042) separately.